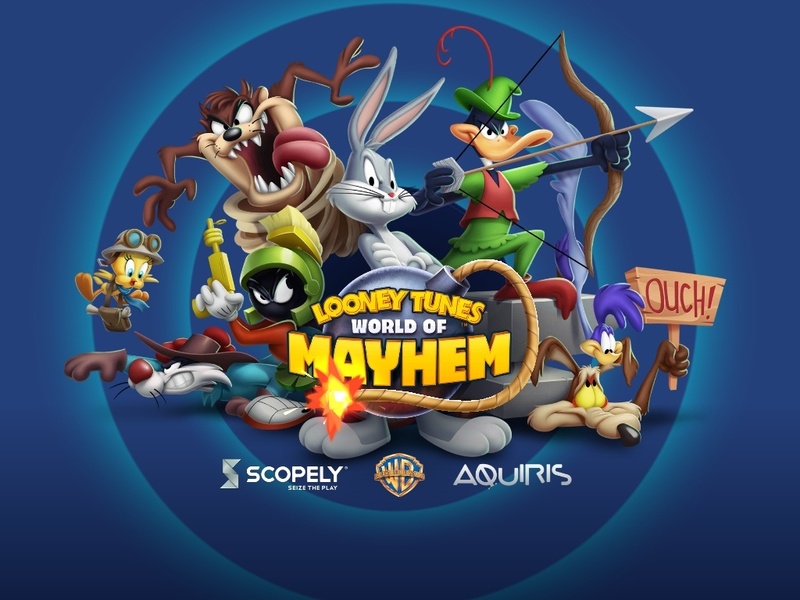 Scopely is about to release the global version of Looney Tunes World of Mayhem pretty soon and we can’t contain our excitement! To kill time until the launch, we figured we’d share all we know so far about the game. Although we have gathered information from official sources and forums, you may find that some features are slightly different when the game is released. Of course, they may eventually decide not to change anything, remains to be seen! Without further ado, let’s take a look at everything we know about Looney Tunes: World of Mayhem so far. This information comes from the Scopely blog page. 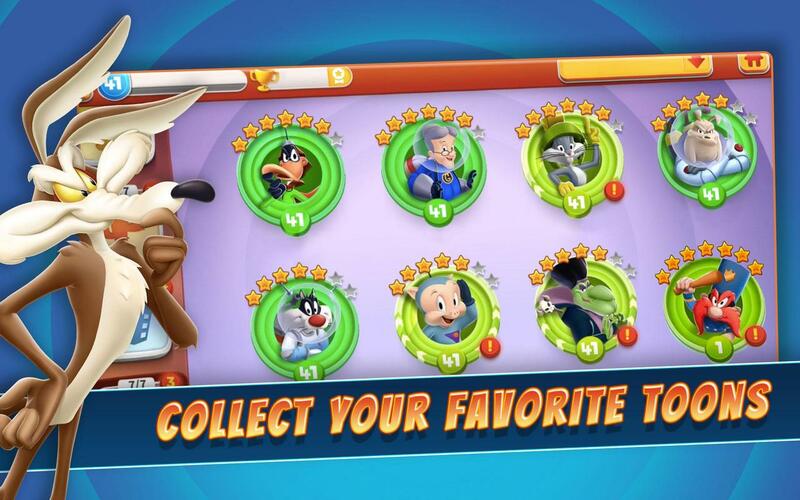 We know that all Looney Tunes characters will be in the game, but only 70 characters will be present at launch. We are confident that these will be the most popular Looney Tunes characters and new toons will become available with further updates. Another thing we know is that each toon will have multiple variants. In other words, a particular toon will have more than one variety that you can collect and each one will have different abilities. This mechanic will ensure that your toon-gathering adventure lasts a long time. When we take a look at the published screenshots, it is understood that the game’s battle system will be turn based. Probably the main campaign missions will consist of these battles. 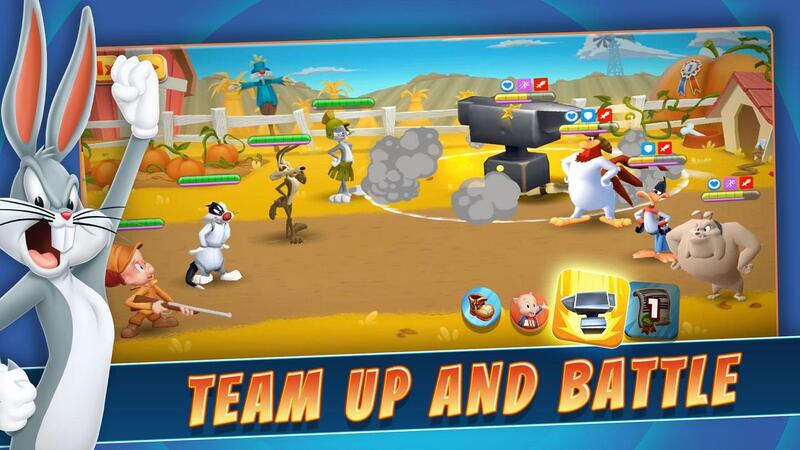 We also see that some screenshots show teams of 4 toons, so your teams can have up to 4 members. In addition, buffs and debuffs will have an important place in the battle system. See the screenshot below: We are sure that the icons above the toons symbolize buffs and debuffs. Looney Tunes seems to have a more complex and detailed battle system than we anticipated. There’s only one screenshot shared about this feature, and we will have to wait until the release to find out the mechanics. It seems your toons will have a city of their own and you can develop and grow this city. In this context, we do not expect the game to have town building mechanics. In a gacha game, this type of mechanics is usually not involved, and developing a game with different systems creates confusion. Therefore, we anticipate that this feature will include simple mechanics, but it will be fun. 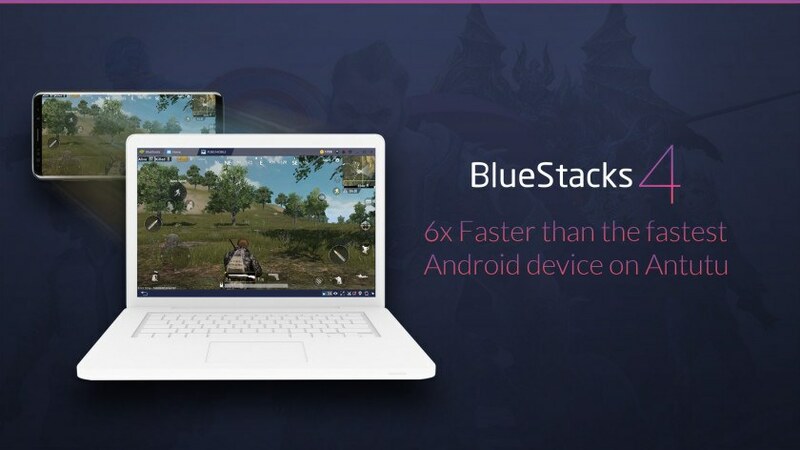 You can start playing World of Mayhem on BlueStacks 4 as soon as it is released. And thanks to our widescreen support, the graphics will look even better: Considering that the game’s graphics quality is almost identical to the cartoons, this is an important detail. 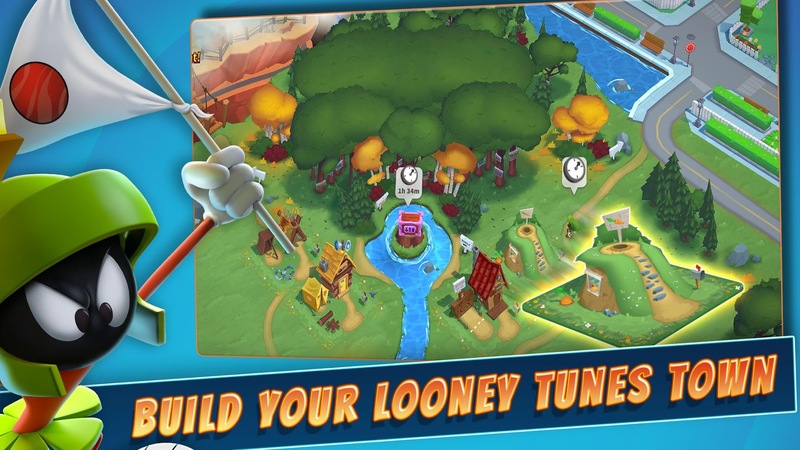 Playing Looney Tunes on BlueStacks 4 will surely be a very enjoyable experience. While you think of excuses to call in sick on the day of the launch (who’s gonna wait till the end of the day, duh? ), we will work on finding more interesting tidbits about the game. Please do share your thoughts about the game with us in the comments section below, we love hearing from you!